Direct from Elcho Island, Djuki Mala (Djuki meaning ‘Chooky’ with a Yolngu accent and Mala meaning ‘mob’) perform a high-energy and stunning fusion of traditional Indigenous culture, contemporary dance and storytelling. 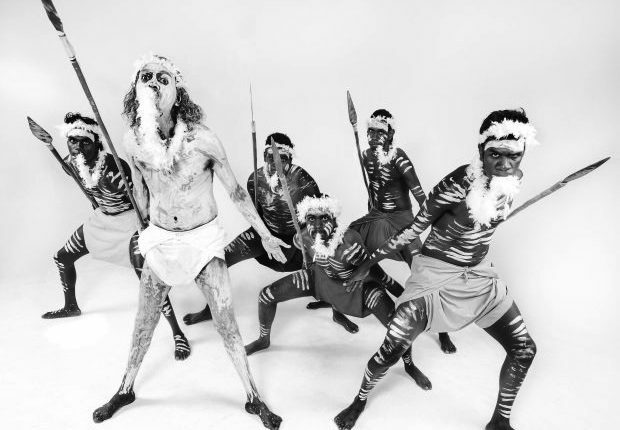 Since their 2007 clip of ‘Zorba the Greek’ went viral, they have thrilled audiences with reinterpretations of popular culture and traditional dances in a way that juxtaposes contemporary Yolngu culture. The show tells the genesis of Djuki Mala, interspersed with multimedia, giving audiences the opportunity to experience some of the more intimate moments and turning points that have shaped them, in a show that is a marvel of timing comedy and clowning, with a hefty dose of heart and soul. please contact mel@impressivepr.com with all enquiries.